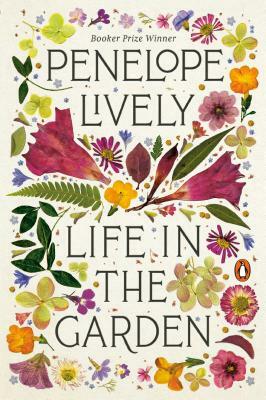 Penelope Lively takes up her key themes of time and memory, and her lifelong passions for art, literature, and gardening in this philosophical and poetic memoir. From the courtyards of her childhood home in Cairo to a family cottage in Somerset, to her own gardens in Oxford and London, Lively conducts an expert tour, taking us from Eden to Sissinghurst and into her own backyard, traversing the lives of writers like Virginia Woolf and Philip Larkin while imparting her own sly and spare wisdom. "Her body of work proves that certain themes never go out of fashion," writes the New York Times Book Review, as true of this beautiful volume as of the rest of the Lively canon. Now in her eighty-fourth year, Lively muses, "To garden is to elide past, present, and future; it is a defiance of time." Penelope Lively is an award-winning novelist and author of children's literature. She received the Booker Prize for her novel Moon Tiger and wide acclaim for The Photograph and How It All Began. Lively is a Fellow of the Royal Society of Literature and a member of PEN and the Society of Authors. In recognition of her contributions to British literature, she has been appointed Dame Commander of the Order of the British Empire.